On December 20, 2017, The U.S. House and Senate passed the conference agreement of the “Tax Cuts and Jobs Act,” the bill passed the House by 224 to 201 margin and the Senate by 51 to 48 margin and was signed by President December 22, 2017. All individual provisions of the measure are generally effective after December 31, 2017, for the 2018 tax filing year and expire on December 31, 2025, unless otherwise noted. The provisions do not affect tax filings for 2017 unless noted. NAR will be providing ongoing updates and guidance to members in the coming weeks, as well as working with Congress and the Administration to address additional concerns through future legislation and rulemaking. Lawmakers have already signaled a desire to fine tune elements of the "Tax Cuts and Jobs Act" as well as address additional tax provisions not included in this legislation in 2018, and REALTORS® will need to continue to be engaged in the process. 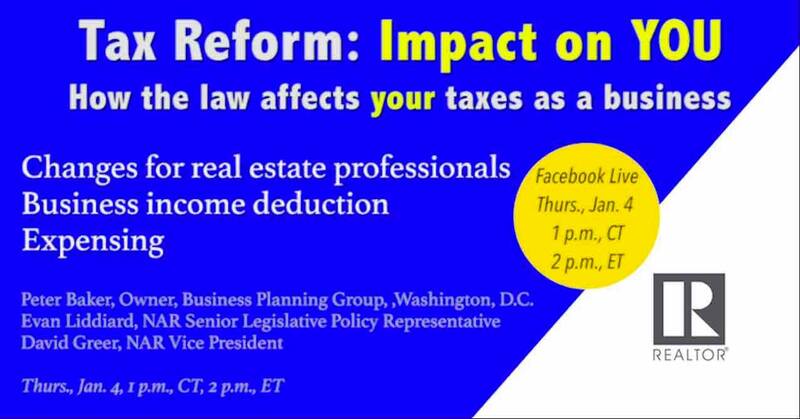 Thanks to our members’ engagement, REALTORS have helped positively influence tax reform in some key areas. For example, both the House and Senate have agreed to maintain deductibility of state and local property taxes up to $10,000 and to maintain Section 1031 tax-deferred exchanges in their present form for real estate investments. BUT OUR WORK IS NOT DONE. We still have an opportunity to influence Congress to help make the tax reform bill more favorable to homeowners and consumers. Now that both the House and Senate have passed The Tax Cut and Jobs Act, a Conference Committee will begin to address the differences between the two bills. Important improvements in the legislation are possible by encouraging Congress to maintain the current law for the mortgage interest deduction and capital gains exclusion. Retaining current law makes the bill more favorable to homeownership. 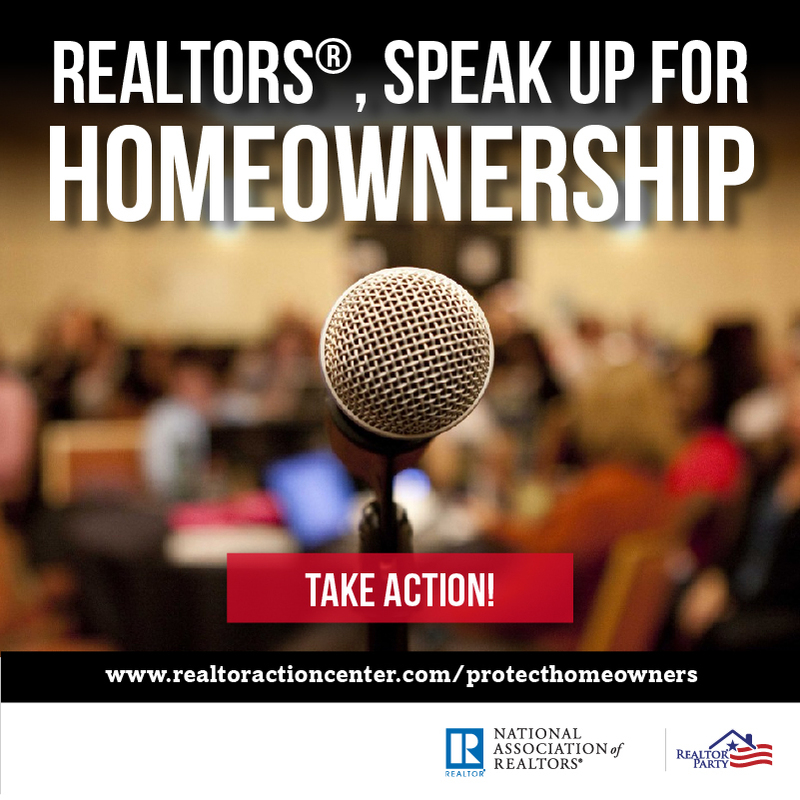 Take action to tell Congress to protect middle-class homeowners.